When planning your brand’s online marketing strategy, you know that video content is one of the best marketing tools you can choose. But there is a bit of a trap. Even though using video content is a really smart choice, creating just one great video for your brand and then stopping is not a good thing. You should always plan for more video content in your marketing strategy. Video content makes your brand move forward, but having just one video will set you back! The content that you create will play a decisive part in your buyer’s journey (we’ll talk a bit more about this in a moment! ): and you’ll need great video content in every step of this journey! There are three stages of it, and you can’t use the same video for every one of these stages. This is because the needs of your audience are different in every stage. For example, you may have an amazing explainer video that will work fantastically for the second stage of the journey, but it won’t be as effective for the first one, because it’s not what your audience needs in that moment. You want your video content to guide your prospects in the right direction: to be engaged to your brand and buy your product. And how can you do this? Well, let’s talk about inbound marketing! One of the smartest ways to use video right now, is to make it the center of your inbound marketing strategy. But, first, do you know what inbound marketing is? Inbound marketing is all about making your clients come to you. Using video to promote your brand means that the right customers will be attracted to you in an organic way. And, also (very important!) you’ll have their permission to engage with them, because they’re the ones who came looking for you in the first place. Now you know. If you want to use inbound marketing correctly, your business definitely needs videos, and not just one! However, if you want your videos to shine, and really be an effective part of your inbound strategy, you need to think about using the right video at the right moment. It’s all about timing, you see. Certain types of video work best in certain moments, and it’s key that you identify which one is the best for each one of them. #1. You must know your audience. By this I mean really knowing it: from head to toe. You must fully understand the audience you’re targeting,their needs and peculiarities. #2. Analyze your client’s pain points. If you want to know which types of video you can use to attract more customers using inbound marketing, you must know what your client’s pain points are. Knowing this means that you will know how can you solve their problems with your product, and how you can effectively use video to show it to them. #3. Know every step of your buyer’s journey, and which videos work better for each step. Take a moment to think about your buyer’s journey. Your buyer’s journey is the active process that makes a visitor become a customer. And a loyal one, if you play your cards right! 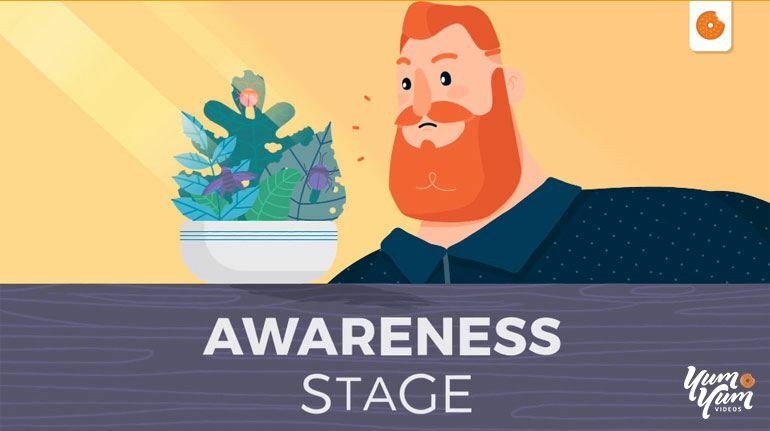 The three stages of your buyer’s journey are awareness, consideration and decision; and there are some types of videos that work better for every stage. As I have told you, there are three stages of the buyer’s journey. For every one of these stages, there are specific types of video that work better than others. This is the beginning of the journey, and here, first impressions are everything: your prospects have come to you– probably from using a search engine, but also through social media, ads or a friend’s recommendation –, and they’re here looking for answers. You must catch their attention with the right kind of video. Commercial ads and branded videos, are the ones that will share your brand’s spirit and beliefs with your prospects. At the beginning of their buyer’s journey, you want to catch your prospect’s attention: use an engaging story and express your values as a brand. This will help you create a great first impression, and they’ll be willing to find out more about you! Fun, helpful and easily shareable. This is basically what an educational video is: content that offers real value to your leads, and information that will actually make their everyday lives a little bit better! When they’re at the beginning of the buyer’s journey, they’re searching for new information, and here you are to answer their questions. 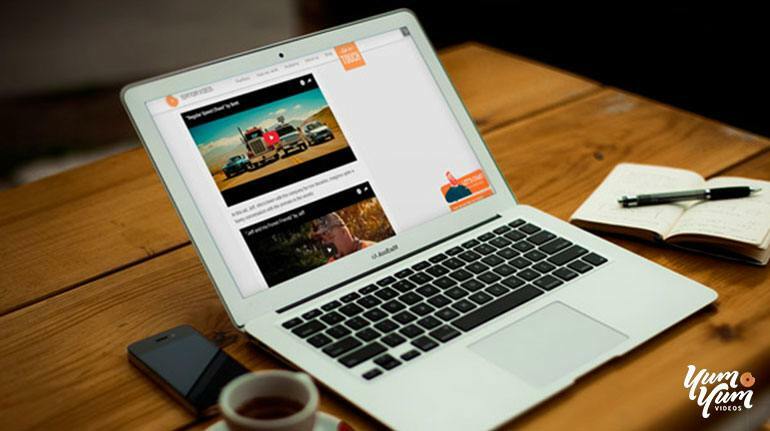 Here’s another of our examples called “What is the best explainer video style for your business?”. This video has more than 150.000 views on Youtube, and that represents thousands of dollars of free organic advertising. In this stage of the buyer’s journey, you let your prospects know how they can integrate your product into their lives, and how it will make their lives better. It’s time to show them why your brand is the best option they can find. An animated explainer video introduces your prospects to your business, explains to them what your brand is all about and lets them know why they need you. A great explainer video does all that in just a few seconds, and it’s interesting, engaging, and powerful. They work well for the consideration stage. Your prospects know that they have a problem that they need to solve, and with an explainer video you’ll show them how you can help them. To show your prospects how great your products are, there is nothing better than a product video. Show them your product in action: a video of your product being used by a real person (just like them!) will really encourage your leads to convert. For example, in the case of digital products or services, a great tool to use is a screencast video. Screencast videos are digital recordings of a screen, paired with an audio narration, and they’re cost effective and powerful. How-To videos are great to answer your leads’ questions in a fun, entertaining way. Use them as a chance to educate your audience, like the product video: talk about your product and explain how it can solve their problems… Be there for your prospects. Your prospects are now familiar with your brand, they know your product and they’re willing to make a decision. It’s the moment of truth! As your potential customers keep moving forward with their research, they will want to know the experiences of customers just like them. Customers trust their peers more than anyone else. Testimonials work great as live action videos, of course, because your prospects will be looking at your customer’s faces, and because of the nature of video, their emotions and expressions will really shine through! This is why testimonial videos are incredibly powerful. When creating testimonial videos, remember to keep it human: you want your customers to give real answers and use their own words. This will help you generate a real connection with your prospects. Encouraging your leads to become customers means that you need to have a great brand image. About us videos help you do exactly that. What your prospects want is to really feel that they know the brand they’re considering buying from, and by giving them an inside look at your brand and the people that work in it, you’re giving them what they’re asking for. The most important thing with this type of video is to be authentic! Use about us videos to show your prospects why your brand is exactly the one they want to get involved with. Some people may think that having just one video is enough for a successful marketing strategy, but that’s not the case! You have to use different kinds of videos to guide your prospect in the direction you need and in turn, buying your product or service. This is done by knowing your prospects from head to toe: their needs, their pain points, every step they make during their buyer’s journey. This way, you’ll know how to guide them by using the right kind of video for every one of the three stages of their journey. Video is an amazing marketing tool, it’s engaging, interesting and fun! So don’t stop with just one video, as it won’t fully serve its purpose. Use great quality video content in every stage of the funnel, and you’ll have the best results for your inbound marketing strategy. Remember, video is the present and the future of online marketing! 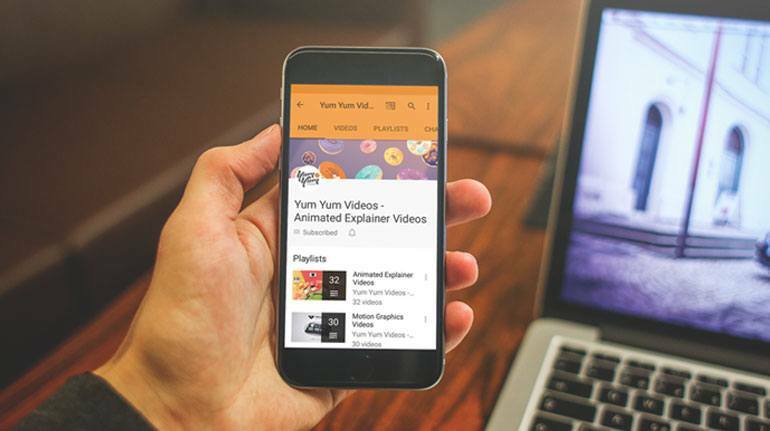 If you’re interested in how to use video content to get the best results, take a look at our free video course on Smart Video Strategy. I’m sure you’ll find it very useful!